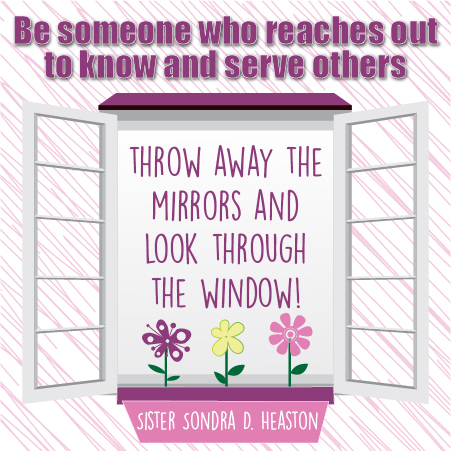 YW October: "How can I be more Christlike in my service to others?" 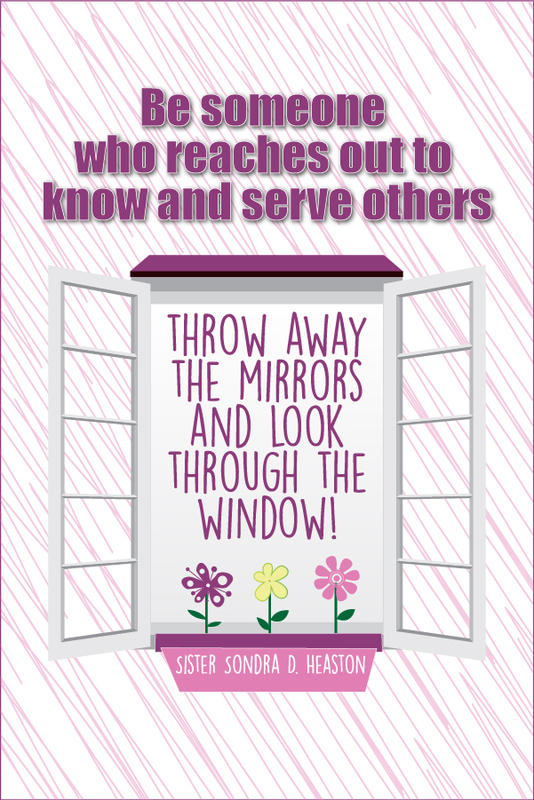 You are here: Home » Young Women » YW October: "How can I be more Christlike in my service to others?" 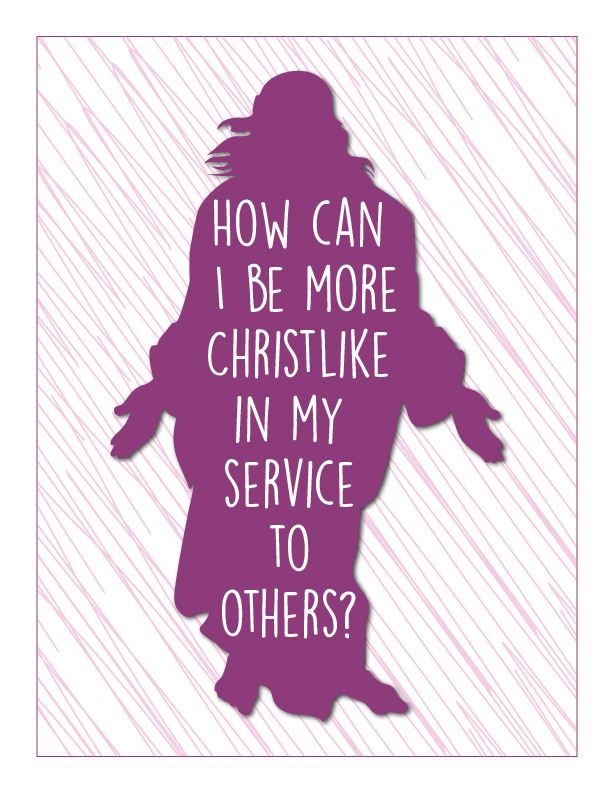 How can I be more Christlike in my service to others? You can use these posters to display in your classroom to introduce the theme of the lesson. There is also a blank poster included if you'd like to add your own quotes/scriptures. 3" x3" Handouts - There are 6 to a page. These little handouts can be used in numerous ways. They are the perfect size for the girls to use on their bulletin boards at home, taped in their locker at school, they can be collected throughout the year and made into a little book by punching holes in the corners and using a key ring to attach them each week. If your YW use class journals or smash books, these are the perfect size to tape into their individual books. If all or most of the girls have a smart phone in your class, here is another idea to use for this: text each girl this handout during the week to remind her of the lesson. To do this, right click on the picture and save image to your computer. Then email the picture to yourself. Retrieve the email from your smartphone and save the image onto your phone. You can now send the image in a text to your Young Women. If you have a Facebook page for your Young Women, you could also post this to your Page! There are 2 to a page. You can use these during your lesson for the girls to write down their thoughts. You can add these to their class journals or smash books, or just a cute reminder to take home and put in their scriptures or journals. 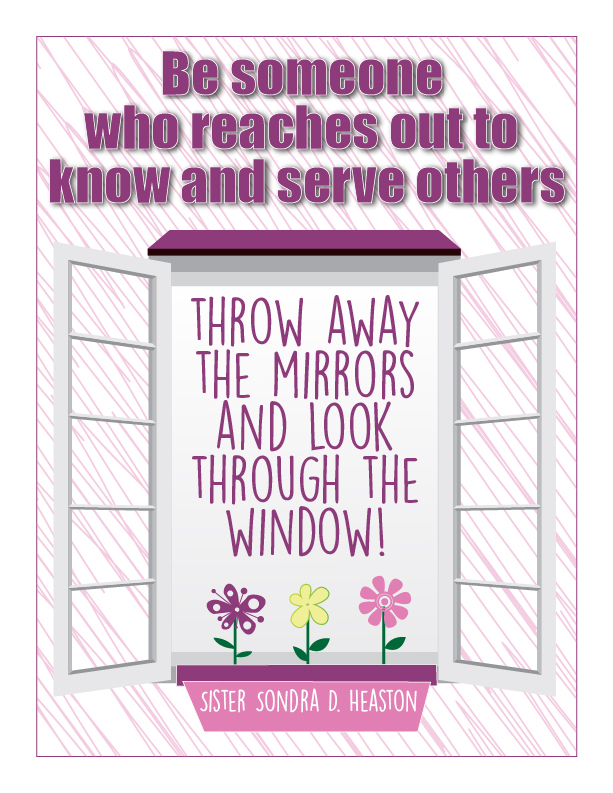 Encourage the girls to hang up this weeks journal card in a place they will see it often so they will be reminded of the service they'd like to give. 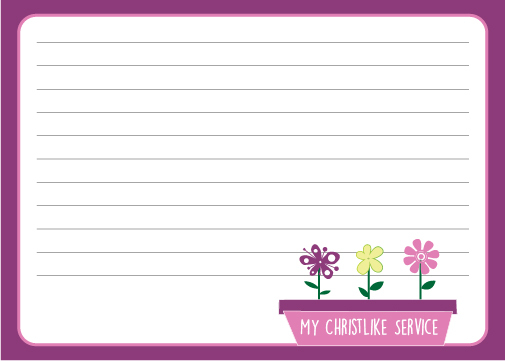 You can use these cards for a Personal Progress Value Experience under Good Works or at the end of your lesson, encourage the Young Women to write down one Christlike service they're going to do the following week. These little cards have written on them already all the scriptures that were mentioned in the lesson. 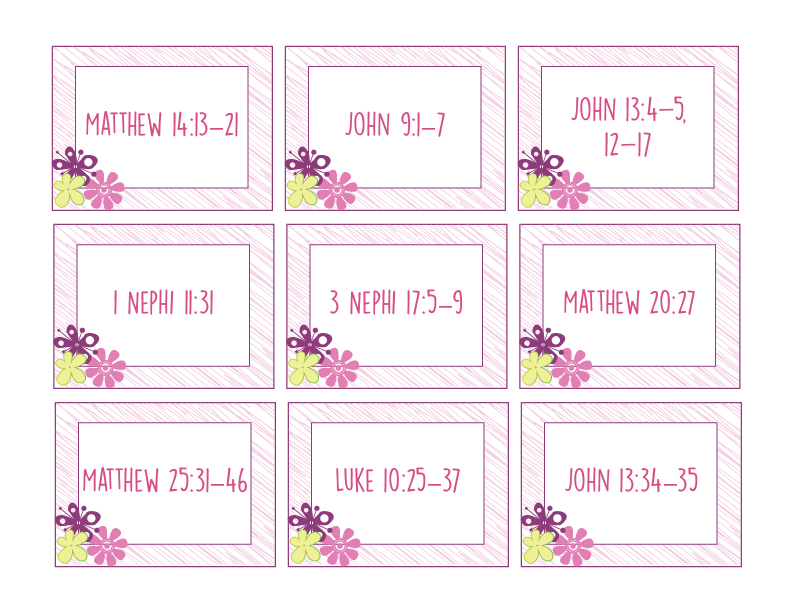 As always, there are blank cards included if you want to add your own scriptures. 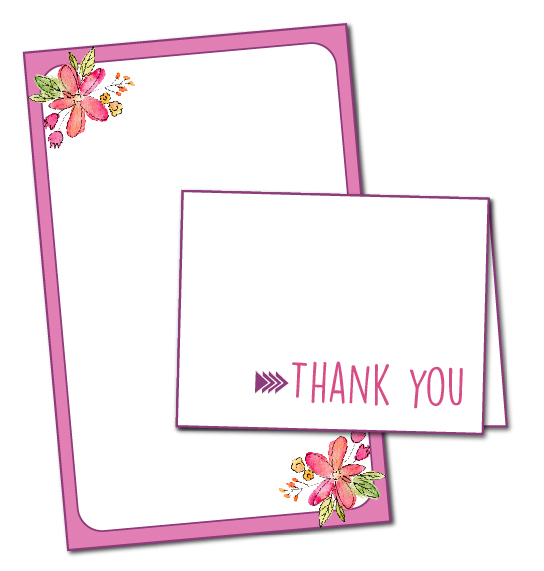 This little booklet will print front to back on one sheet of paper. It will help you with the first bullet point and third bullet point in the lesson under "Learn Together." Pass these out after you have done the object lesson in the lesson with the mirror and picture frame. In the third bullet point, it suggest having the girls read a scripture and then summarize it to the rest of the class. As I read through these scriptures, they are so powerful! I would suggest having the girls take turns reading them out loud. I really think it's important to read straight from the scriptures as often as possible so the girls learn to understand them better. I designed this booklet to help you with this activity. Pass out the booklet and then take turns reading the scriptures. Help the girls summarize what they just read after each scripture. Help them point out and discuss the reasons the Savior served others, how He served others, and the results from His service. They can write down the impressions they receive on their booklets. The first bullet point is about Sister Esplin's wonderful talk "He Asks Us to Be His Hands." The last 3 pages of the booklet includes the 4 questions that Sister Esplin asks towards the end of her talk. Encourage them to fill these pages out in class or take them home and finish them. Hopefully they will be able to think a little deeper now that they have learned more about how the Savior served! The second bullet point, under "Learn Together", in the lesson, suggests having the Young Women write thank-you notes. I've designed a cute card that matches the lesson for you to use! Print front and back, cut out, and fold down the middle. It will be best to print these on a heavier paper like cardstock. The video about the Good Samaritan in the lesson is really good! If you can, try to show the video and then talk about what they learned. (They could even follow along in their scriptures if you have girls that get distracted too easily by their cell phones or friends!) Most of the girls have heard this story before, so make sure you're asking questions that will really get them thinking about how it applies to them and what they can learn from it. Your community may have helped out recently with all of the natural disasters that we've been having. Ask the girls how/if they participated. How can we help even if we live far away from the people in need? How can we help someone who is in need that is close? What kinds of needs do they see in their schools/church/community? How can they be like the Good Samaritan? One of the Personal Project Value Experiences for Good Works is to give a Family Home Evening lesson on service. 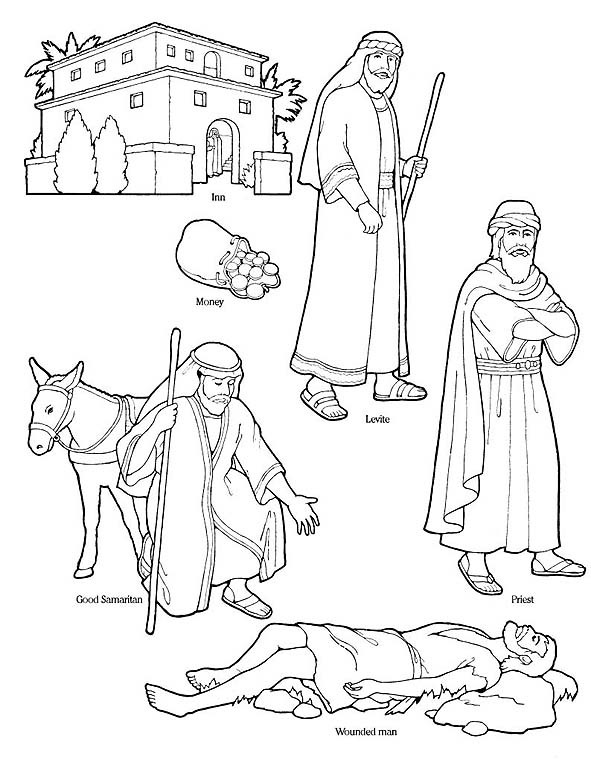 The Friend has a great little coloring page that goes along with the Good Samaritan. 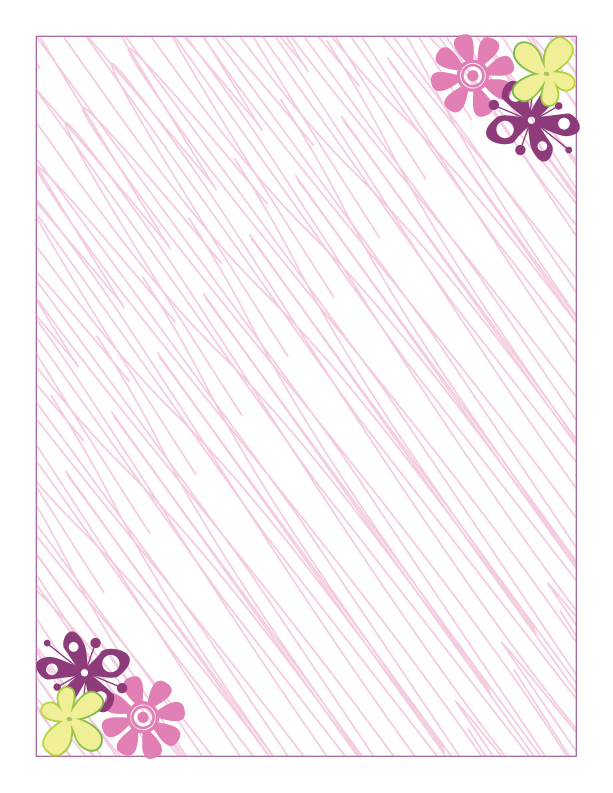 For an activity, you could hand one out to each girl, have her color it, then cut out. She can then use these pictures to give her own FHE on the Good Samaritan! Click here for the coloring page.